ZIRCAR Ceramics’ ZIRPORCOAT-2 is a combination of fine polycrystalline ceramic fillers in a water-based colloidal carrier that enhances handleability of Microporous insulation it is applied to. ZIRCAR Ceramics’ ZIRPORCOAT-2 is a combination of fine polycrystalline ceramic fillers in a water-based colloidal carrier. Applied directly to the surface of ZIRCAR Ceramics’ MICROSIL Microporous Insulation, ZIRPORCOAT-2 dries to form a relatively tough surface which significantly enhances the handleability of the MICROSIL it is applied to. 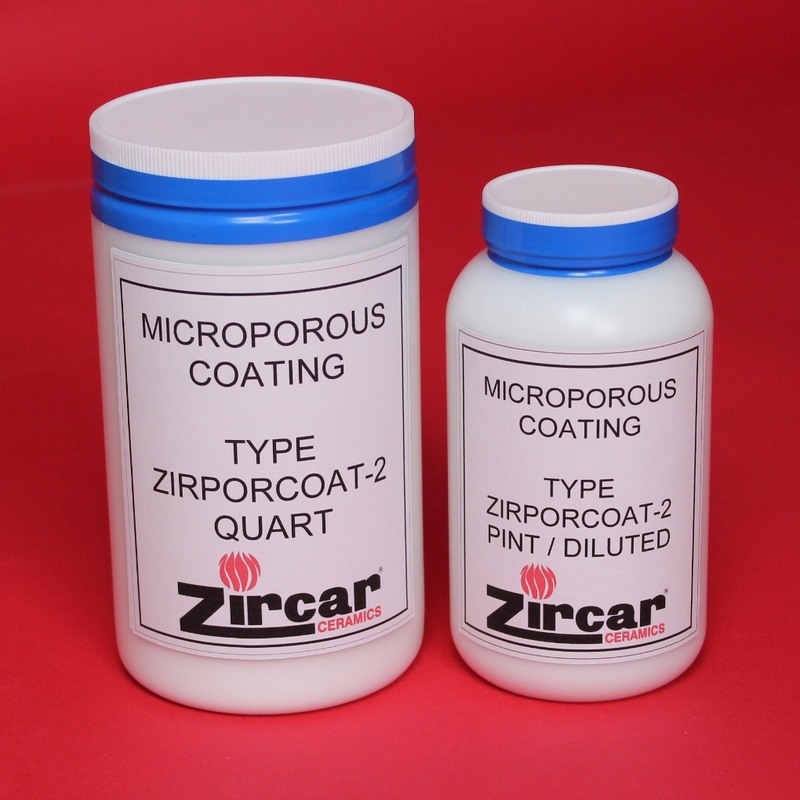 As supplied, ZIRPORCOAT-2 has a concentrated putty-like consistency and must be diluted. ZIRPORCOAT-2 is also offered prediluted. Both varieties must be blended to a smooth consistency prior to use. Each thin layer should be air-dried prior to application of subsequent layers. ZIRPORCOAT-2 coated parts must be thoroughly dried before they are put into service. Drying overnight in relatively low humidity is usually sufficient.